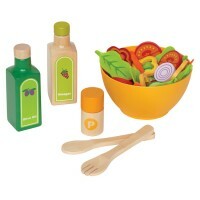 This pretend play food set for kids comes with the toy fruit, vegetables, and a slicing toy knife. 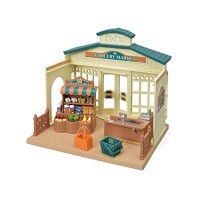 A real treat for every little chef! 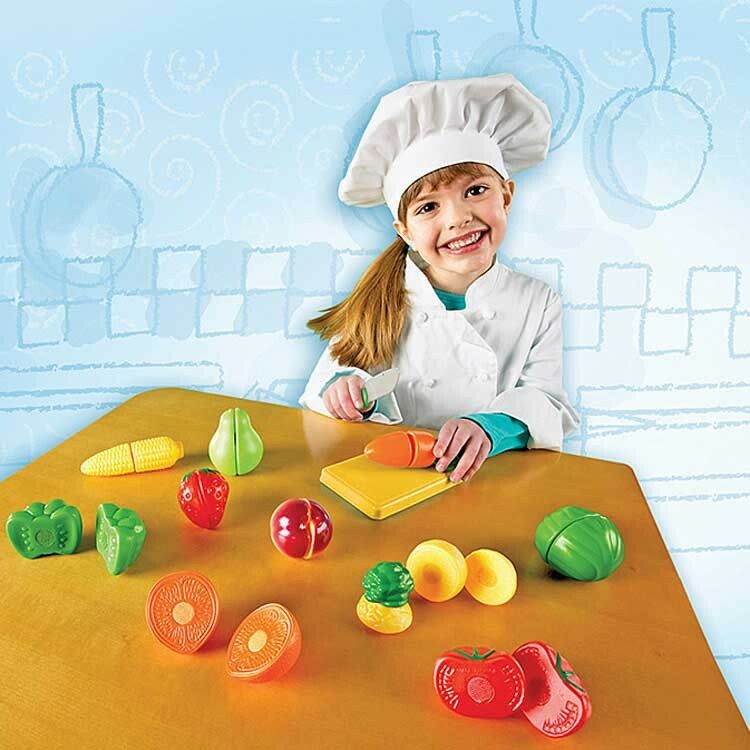 Sliceable Fruits & Veggies Toy Food Playset by Learning Resources gives your children the perfect opportunity to safely help out around the kitchen - and even get excited about healthy foods! 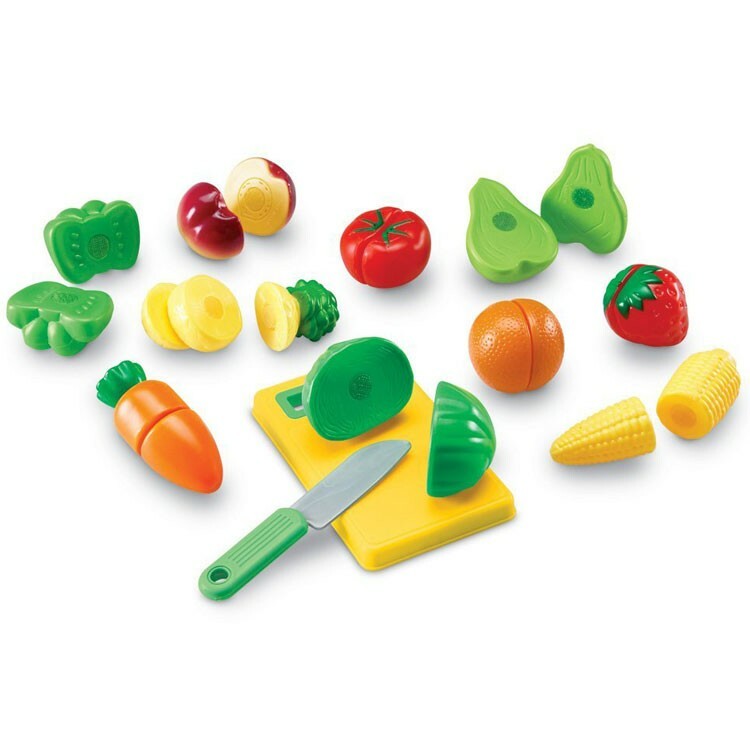 This play food activity set comes complete with sliceable fruits and vegetables that lock together with hook-and-loop fasteners that are easy to separate with the included toy safety knife. 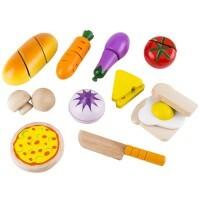 Children and toddlers of all ages will love exploring how the pieces link together and come apart. 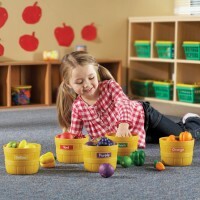 As your children develop fine motor skills, they will also learn how to identify a wide variety of fruits and veggies, and maybe even be willing to have a taste of the real thing! 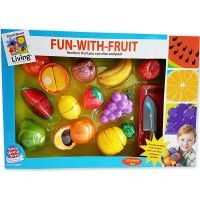 This creative and imaginative play set, offered by Educational Toys Planet, includes such sliceable fruits and veggies as toy strawberry, orange, plum, pear, pineapple, carrot, corncob, tomato, green pepper, lettuce head, play knife and cutting board. 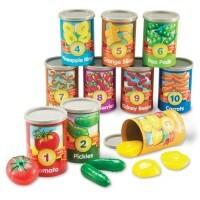 Plastic pieces from the Sliceable Fruits & Veggies Toy Food Playset are easy to clean and store. 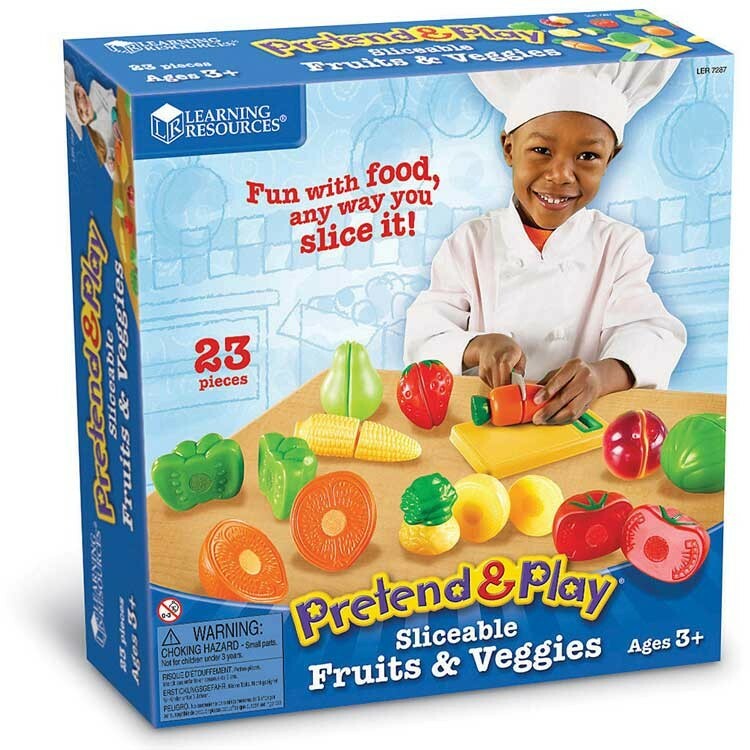 So let's slice, chop, play and learn! 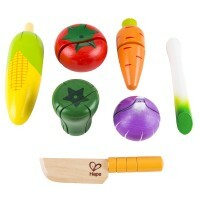 Largest toy food piece, corncob, measures 4.5 inches, cutting board measures 6 x 3.75 inches, and knife is 6 inches long. 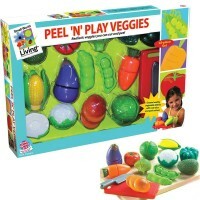 Dimensions of package 10.5" x 10.5" x 2.5"
Write your own review of Sliceable Fruits & Veggies Toy Food Playset. A hit! 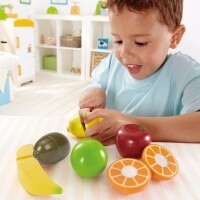 by TJ My 2 year old niece loves "cutting" the fruit (which is held together with velcro. Highly recommend if I kid is into kitchen things.